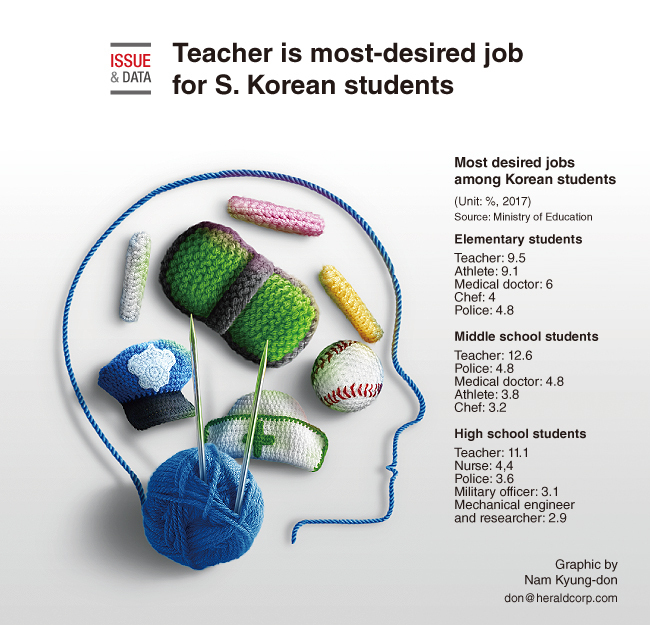 School teacher topped the list of most-wanted job among all levels of Korean students, the Education Ministry said, based on an online survey conducted from June 26 to July 21. Software programmer and mechanical engineer were also desired jobs in a survey of high school students. The Ministry of Education and Korea Vocational Training Center surveyed 51,494 students, teachers and parents at 1,200 schools from all over the country.